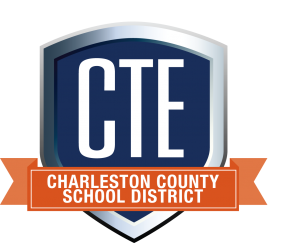 The South Carolina Office of Career and Technology Education (OCTE) uses a tool called Quality Review Measures (QRM) to provide guidance and direction to school districts in establishing, maintaining, and evaluating career and technology education (CTE) programs. The QRM tools help identify where local programs may need improvements and where exceptional CTE programs and activities exist. The application of the QRM also helps to ensure accountability for the uses of state and federal funds to improve CTE programs and CTE student performance. Each of these sections consists of two parts: the measures applicable to each area and the evidence that can be used as documentation to support each measure. Accountability: To meet specific measures of performance at all levels. Business Relationships: To develop a network of relationships that promotes career awareness & marketable skills. Curriculum: To develop & implement a relevant curriculum that uses current technology and instructional strategies. Funding: To acquire the funds essential to achieve the vision. Leadership: To provide an effective leadership program for career and technology education. Marketing: To create awareness and to promote the value of career and technology education. Professional Development: To provide effective professional development. Recruitment: To develop and implement a system for recruiting and retaining quality educators and students. Structural Change: To establish a structure that provides opportunities leading to student success. Technology: To secure and effectively utilize world class technology.